Our field directors are some of the most inspiring people we know. If you’ve been reading our newsletters for a while, you surely know many of their names. These men and women work incredibly hard to bring help and hope to children in the name of Jesus! From purchasing school uniforms to arranging doctor visits to making sure children receive their letters from their sponsors, there are hundreds of details that directors manage every day. It’s a difficult job, but these men and women of God are filled with so much compassion and love for the least of these that they sacrifice continually to fulfill their mission. So you can imagine how amazing it is when we hear stories about directors who, out of a desire to benefit even more children, develop projects that help their program funding stretch even further. This is Juan Gradiz. He manages our program in San Marcos, Honduras. Last year, Juan was looking for new ways to structure his program to provide an even greater impact for children. Of course, like all CRF programs, the sponsored kids in San Marcos were attending school, getting food, clean water and medical care, and learning about Jesus. But he wanted to do even more. Juan saw an opportunity. Many of the families of sponsored children had small plots of land that were underutilized. And it just so happened that the land was the perfect size for small pig farms! So using development funds provided by CRF, Juan started two pig farms in partnership with local families in need of support. Juan provided the pigs and the materials for the pens, and each family took on the responsibility of building the pens and raising the pigs. 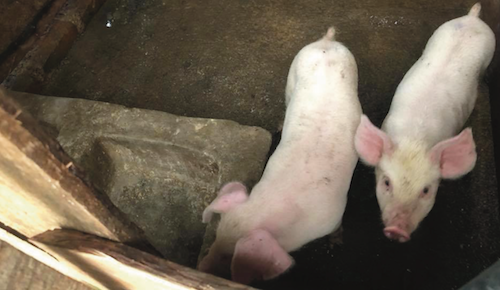 When the first group of pigs were fully grown and sold, the family and CRF split the profit. The family used the funds to improve their home and buy the next batch of piglets. 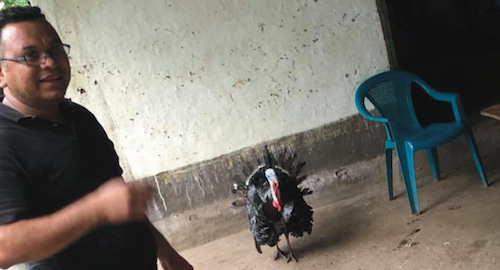 Juan was able to use the extra income to bring even more children into his sponsorship program! 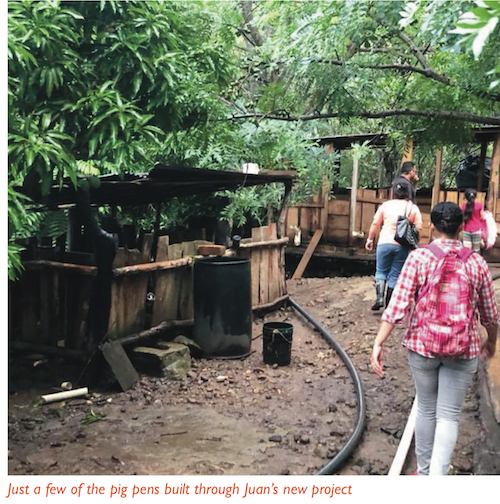 Juan’s pig program has been such a success because it provides a much-needed opportunity for families while also multiplying the impact of the funding CRF provides for farm projects. We’re looking at how we can expand Juan’s project to help even more children and families! We’re so honored to work with great, innovative people like Juan every day. Thank you for making this work possible through your faithful support! What a Difference a Sponsor Makes!